There is still a chance for students to register for this three-credit course! FOR 563 is a great introduction for students who want to understand the legal and political building blocks of the systems that govern natural resources in Oregon and the United States. Students will come away from the course with the ability to read and understand key court decisions, navigate federal statutes, and write policy memos. The course is intended for students who want to pursue careers in natural resource management, environmental law and regulation, governance, environmental consulting or advocacy. Throughout the course, the focus will be on examining the key tools in common, statutory and constitutional law for addressing resource protection, terrestrial and aquatic pollution in the United States. This will include an exploration of environmental torts, the constitutional relationship between states and the federal government for resource management, the regulation of point and non-point source pollution under the federal Clean Water Act, wetlands protection, and state laws governing agricultural and forest practices. *If you’re interested, but have a time or scheduling conflict, please contact the instructor, Geoff Huntington (Geoff.Huntington@oregonstate.edu), and/or TA for the course, Gretchen Engbring (Gretchen.Engbring@oregonstate.edu). We are happy to work with students to accommodate their schedules. Discover how to use your local natural area as a teaching tool! Forest as classroom uses exploration of outdoor landscapes as a means of teaching others about science, ecology, mathematics, social science, and history. Through examination of forest ecology, forest succession, and broader natural resource management issues, students not only learn about natural resources, they discover some interdisciplinary methods used to teach about science, math, and other fields. 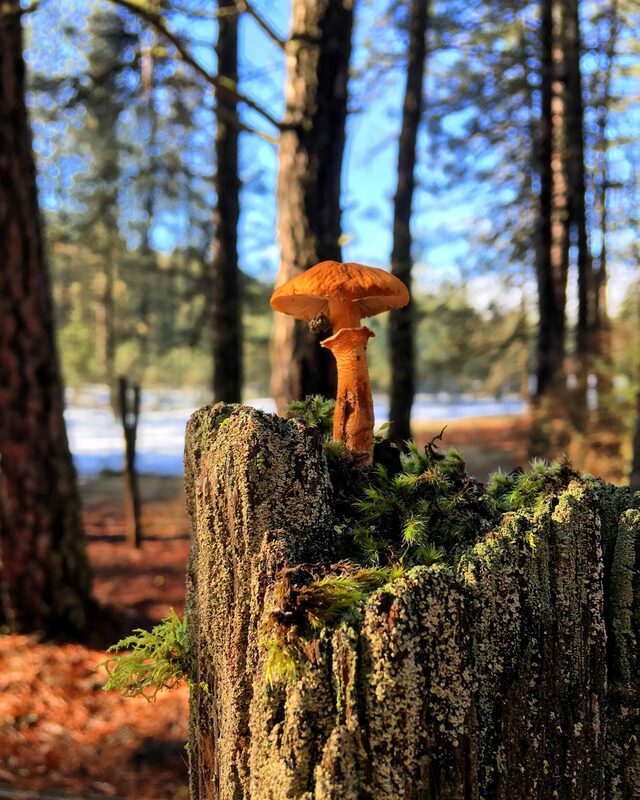 For students enrolled for Spring Term 2019, there is an opportunity to help design natural resource exploration activities for Castle Family Forest near Philomath, Oregon. This is a great opportunity to FLEX your creativity, while contributing to a real-world project. Forest as Classroom meets various requirements and options within the Natural Resources Degree Program, and can serve as an elective within the Education Double Degree and Education Minor programs. In addition, Forest as Classroom can be used as an elective within the following degree programs: Master of Natural Resources (MNR, online), Master of Arts in Teaching (M.A.T. online), Master of Education (Ed.M., online), and Master of Science in Science Education (M.S., on campus). Please speak with your advisor if interested in pursuing any of these options. A very timely issue in Oregon, as wilderness managers are considering strategies to help mitigate the effects of excessive visitor use in the popular Three Sisters Wilderness. We’ll learn about those strategies, and hear from the natural resource professionals involved. Through online content and outdoor exploration, you’ll discover unique wilderness characteristics, and the variety of approaches used to manage this vital American resource. This 4-credit course examines the multitude of land and water resources used as staging grounds for outdoor recreation. We consider the ecological impacts of outdoor recreation, and how natural, historical, and cultural resources can be sustainably managed within the context of these impacts. In Environmental Interpretation, students discover how to craft messages specially tailored to engage visitors to interpretive settings. This includes not only those visiting parks, zoos, museums, and nature centers, but also users of digital media. Offered through OSU, Environmental Interpretation reveals the value of interpretation as a communication strategy. Students receive training in communication techniques applicable to a range of disciplines, including natural resource management, cultural & historical resource management, digital media design, and journalism. Students participate in real-world interpretive projects available through natural resource agencies such as the U.S. Forest Service and Oregon State Parks, and connect to internship and employment opportunities available through these and other agencies. Environmental Interpretation adds value to your transcript, and satisfies core requirements and specialty options within OSU’s Natural Resources Degree Program. In addition, students are made aware of additional training and certification opportunities available through the National Association for Interpretation (NAI). So if you’ve ever envisioned yourself working as a park ranger, nature center director, digital media designer, exhibit designer, or if you simply want to improve your communication skills, then this is the course for you. Serves degree- and non-degree students seeking “basic soils” knowledge. Soil aspects include biological, chemical, and physical properties. Societal goals explain factors that motivate individuals, landowners, land managers, politicians, and other stakeholders to choose soil use, enhancement, or protection. Such choices influence how individuals, families, corporations, and Nations prioritize soil management across rural, urban, and mixed-use landscapes. Open to senior undergrads. In this course we briefly survey the genesis and application of ecosystem service (ES) frameworks with emphasis on benefits and limitations. We then review different ES provided by managed forest around the world, while frequently drawing on examples of management regimes in the Pacific Northwest. We address trade-offs between different ecosystem services that result from different management choices, objectives, and scales. There are 4 hybrid sections during the 8 week session on Monday mornings and afternoons and Tuesday afternoons. Since the sections are hybrid classes, you will only need to attend one class session per week. If you can’t make it to the session that you are enrolled in, you can attend a different session. Thus, you will have 4 opportunities every week to attend a single class session. Summer is right around the corner, right? Not a bad time to start planning your fall term. Matt Orr and Ron Reuter offer this summer field course that is technically a Fall term course. They run it the two weeks before the start of Fall term, allowing you to get to work right away in June and knock out 4 fall term credits before the real start of the term – could be beneficial for scheduling the rest of the term. The flyer and URL shown in it help describe the course. It will fit in most SOs or meet the credits allowed for experiential education in the 2019+ degree catalogs. Due to the nature of the course, they are limited in size. The hard pre-req is the 200 level bio series. Recruitment for a unique research opportunity on the coast from June 23-June 29th at the OSU Port Orford Field Station. Open up to 6 students to attend a week-long research course/ independent study opportunity at Port Orford. Dr. Ann Peterson will run the course and be your research mentor, and it will be co-taught/ co- mentored by the station manager Tom Calvanese. They will be doing stream, seine, and snorkel surveys to look at a variety of fish populations in the area, and work with local commercial fisherman to understand the dynamics of the freshwater and marine fish habitats in the unique and magical ecosystem of Port Orford Oregon. Focusing on the effects of pollution on fish health in the freshwater environment, while Tom Calvanese will be the expert in marine juvenile fish population surveys. No previous experience in fishery biology methods is necessary for you to participate. Room and board at the OSU Port Orford Field Station will be covered if you sign up for Bi 401 independent research credits (3-6 credits). These credits can count towards graduation for most students. Please talk to your advisor to figure out if this will work for you. If you work with Dr. Peterson to write a Layman Fellowship application (due May 15th), and are awarded the fellowship, the credits will also be paid for by the school, and you will get a small ($400) stipend for spending money. They will take a van over together or you can drive independently. To be eligible, you must be an OSU – Cascades student, and be earning an 85% (B) or better in your coursework- or have a really good reason why we should make an exception.